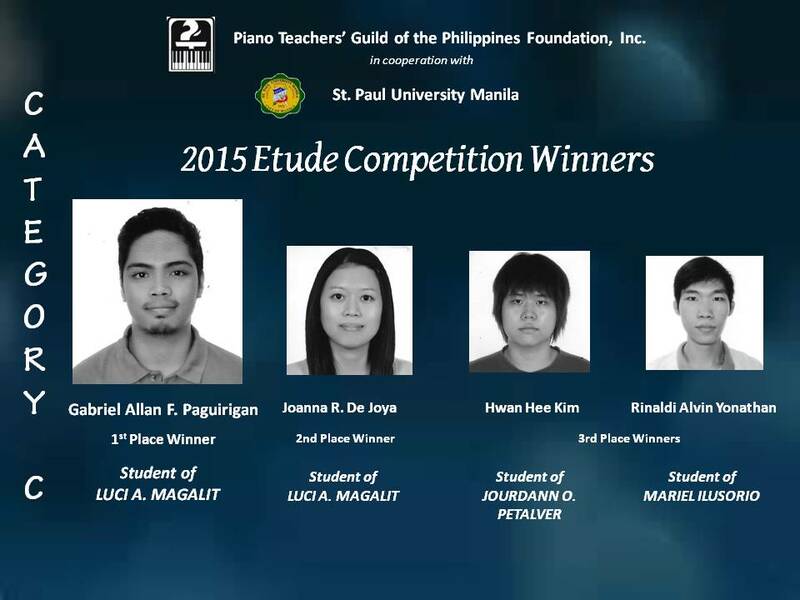 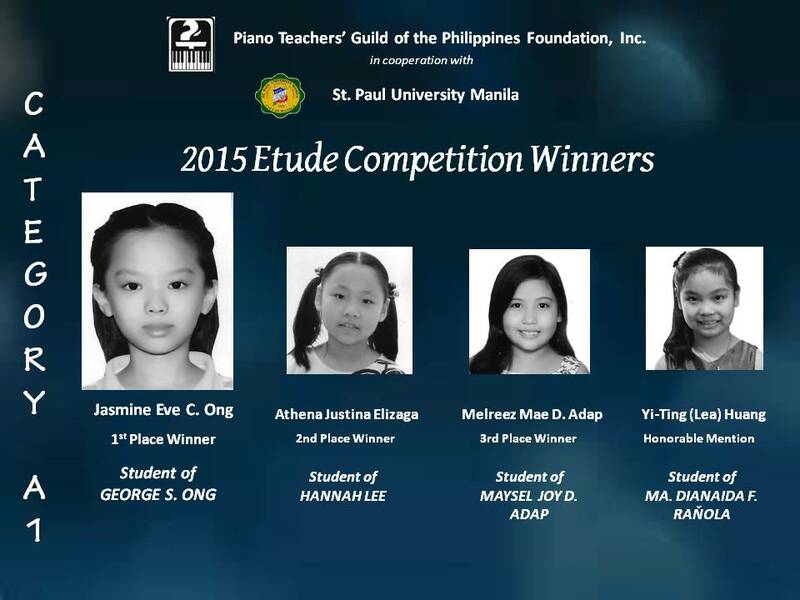 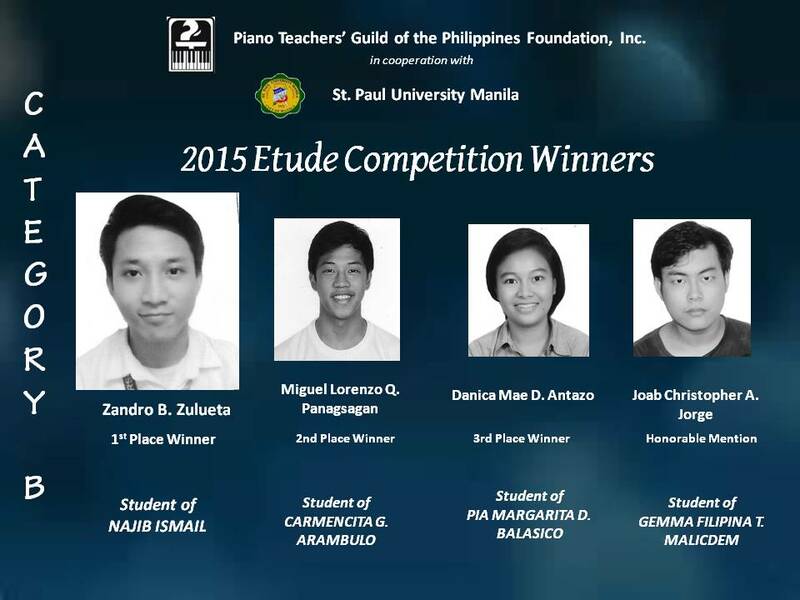 2015 Etude Competition WINNERS | Piano Teachers' Guild of the Philippines Foundation,Inc. 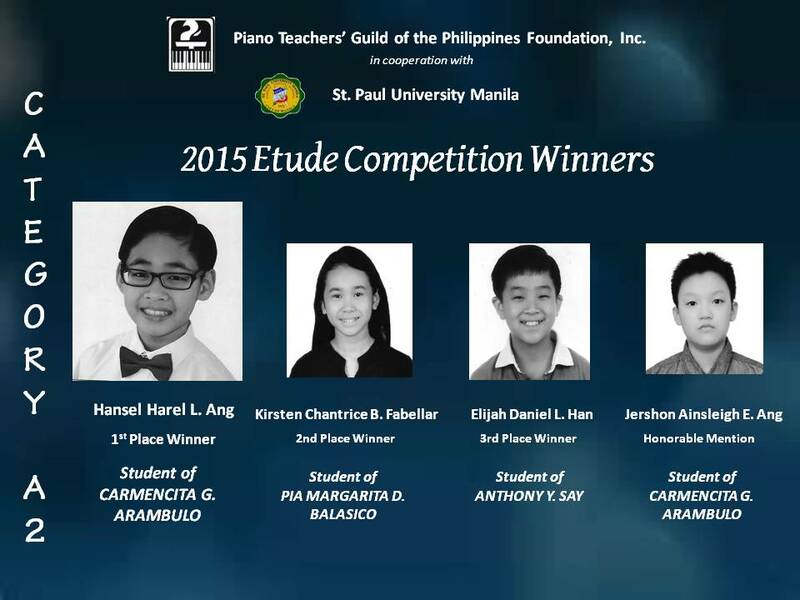 PTGPFI Congratulates the Winners, Teachers and Parents of the recently concluded 2015 Etude Competition! 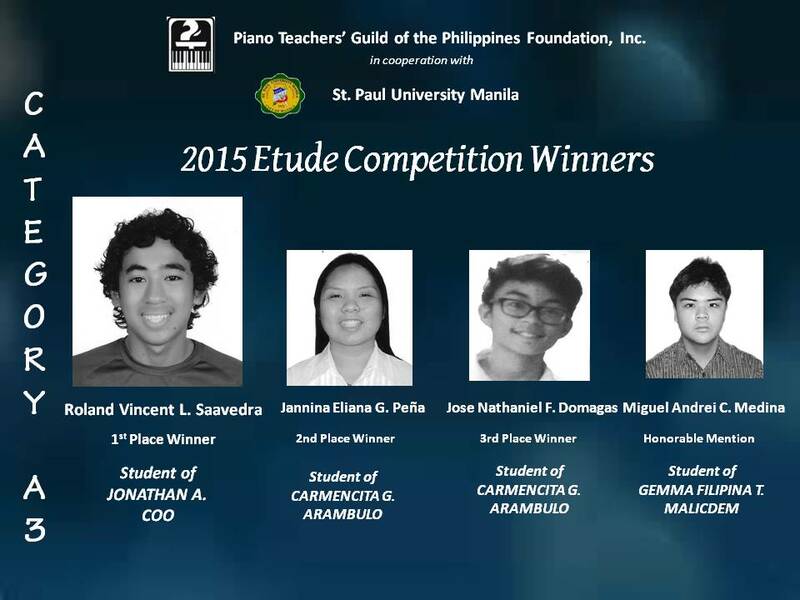 THANK YOU also to the rest of the participants who came and joined, we hope to see you all again at the Winners’ Concert and Awarding Ceremonies on 15 February 2015 3pm Founders’ Hall.